The first man on the moon held an American flag. In the not-too-distant future, astronauts on the moon may be holding fuel pumps. The future for American commercial space activity is bright. Space entrepreneurs are already planning travel to Mars, and they are looking to the moon as the perfect location for a way station to refuel and restock Mars-bound rockets. As much as this sounds like the plot of “2001: A Space Odyssey,” it is coming closer to reality sooner than you may have ever thought possible. A privately funded American space industry is the reason. This industry is making progress in leaps and bounds. The global space economy is approaching $350 billion and is expected to become a multitrillion-dollar industry. There are more than 800 operational American satellites in orbit, and by 2024 that number could exceed 15,000. Thanks to public-private partnerships, for the first time in seven years American rockets will soon carry NASA astronauts into space. Long dormant, Cape Canaveral is now bustling with activity. America is leading in space once again. Competition is already fierce, with Russia and China challenging the United States for leadership, and about 70 other countries working their way into space. But today’s space race is different. It is driven by innovative companies that are finding new solutions to get to space faster, cheaper and more effectively. Space tourism may only be a year away. Tickets for human flights into lower earth orbit have already sold for $250,000 each. Earth-based mining companies may soon face stiff competition from the mining of gold, silver, platinum and rare earths on asteroids and even other planets. A race is already developing to create the technology that will bring those crucial resources back to earth. As these companies advance new ideas for space commerce and nontraditional approaches to space travel, they seek the legitimacy and stability that comes with government support and approval. They yearn for a government that acts as a facilitator, not just a regulator. Government must create frameworks that enable, rather than stifle, industry. Unfortunately, our system for regulating private space exploration and commerce has not kept up with this rapidly changing industry. For example, when it comes to licensing cameras in space, we review small, high school science-project satellites the same as billion-dollar national defense assets, leaving too little time and too few resources for crucial national security needs. On Thursday, President Trump signed Space Policy Directive 2, which will make important strides toward modernizing our outdated space policies. These changes include creating a new office, the Space Policy Advancing Commercial Enterprise Administration, within my office to oversee coordination of the department’s commercial space activities, establishing a “one-stop shop” to work on behalf of the budding private space sector. This will be a major change. At my department alone, there are six bureaus involved in the space industry. A unified departmental office for business needs will enable better coordination of space-related activities. To this end, I have directed all Commerce Department bureaus with space responsibilities to assign a liaison to the new Space Administration team, including the International Trade Administration, Bureau of Industry and Security, National Telecommunications and Information Administration and National Oceanic and Atmospheric Administration. When companies seek guidance on launching satellites, the Space Administration will be able to address an array of space activities, including remote sensing, economic development, data-purchase policies, GPS, spectrum policy, trade promotion, standards and technology and space-traffic management. The new office will also enable the department to manage its growing responsibilities in space. The department will take on a greater role when it comes to regulation and promotion of space activity. But as the agency charged with promoting job creation and economic growth, we will not engage only in oversight, but will support American companies so they can compete and lead on a level playing field. Collectively, these efforts will unshackle American industry and ensure American leadership in space. 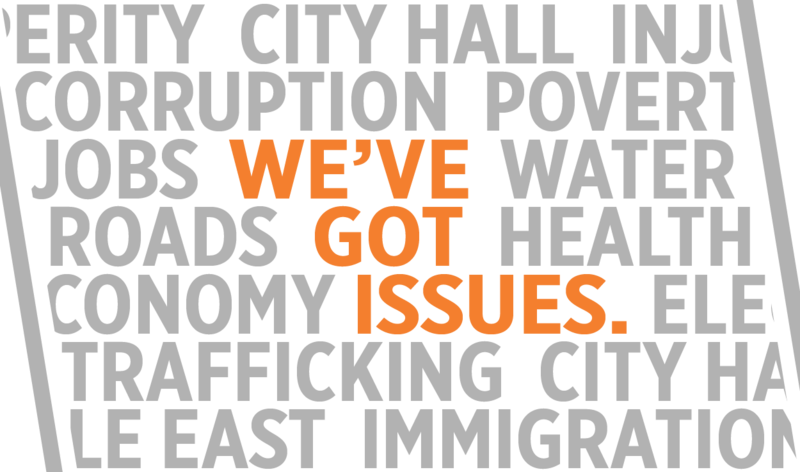 This is essential to technological innovation, economic growth, jobs and national security. But, perhaps more important, it is rejuvenating the American passion for space exploration. I can still remember when President John F. Kennedy declared that America would put a man on the moon and when Neil Armstrong took that first step on the lunar landscape. Glued to televisions, Americans were filled with excitement and national pride during the Apollo missions. 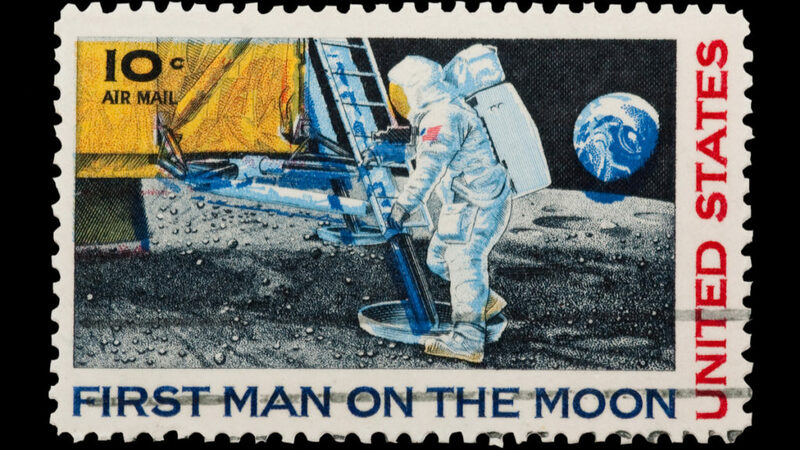 U.S. stamp circa 1969 mail stamp featuring Neil Armstrong’s first step on the moon. /Shutterstock. Last month I felt that same passion as I visited the Space Symposium in Colorado Springs with Vice President Mike Pence. “As we push human exploration deeper into space, we will unleash the boundless potential of America’s pioneering commercial space companies,” the vice president told the crowd. This is a very special time in space history — there is a convergence of technology, capital, and political will. The United States must seize this moment. 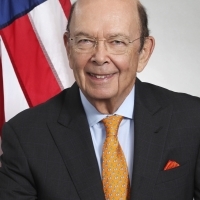 Wilbur Ross is the U.S. Secretary of Commerce.